1. Any changes of size/color/special requests are not acceptable after order placed exceeds 48 hours. 2. If exceed 48 hours, size or color or details of your order need to be changed, please send message to us, but you need to pay handling fee, also please postpone the shipment of your order. 3. 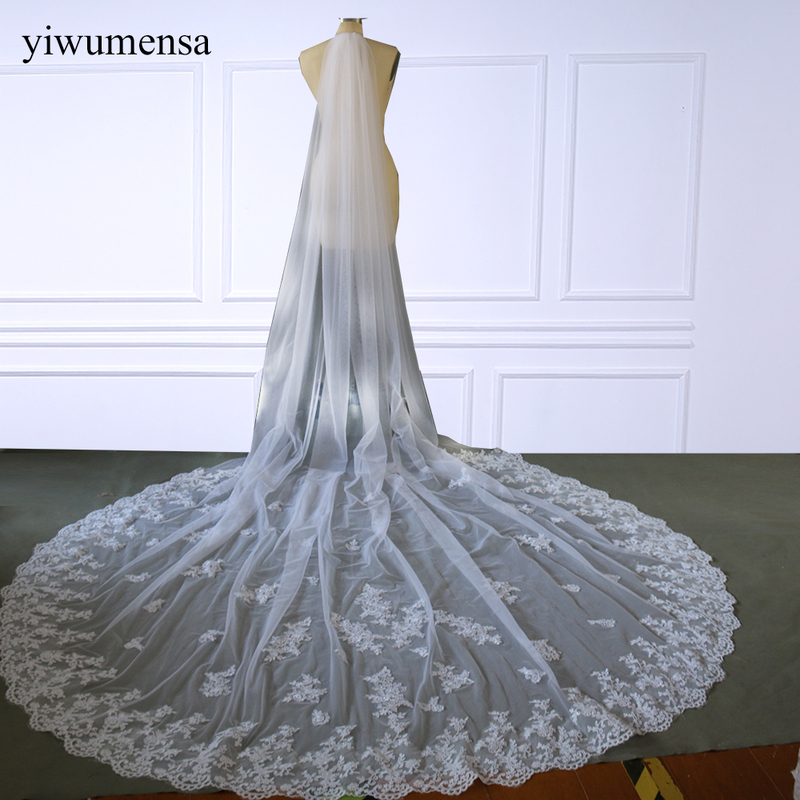 The price is only for the dress, not include any accessories such as gloves,jacket,veil and petticoat. 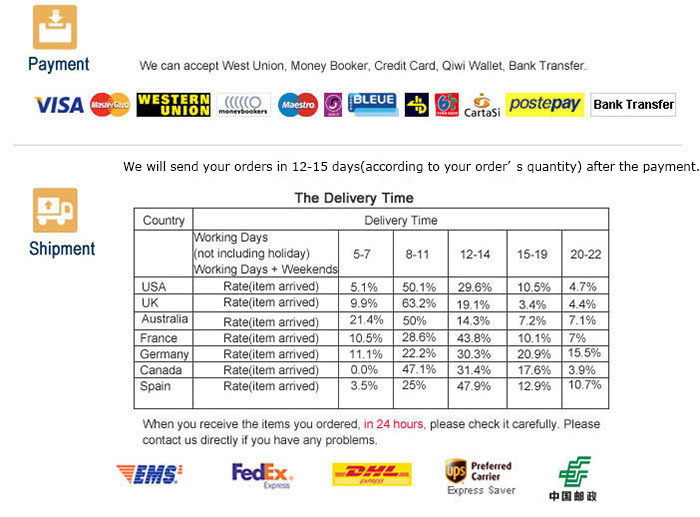 A: Please place your order at your earliest convenience. Normally, placing the order can\'t be less than 1 month in advance of your wedding ceremony. 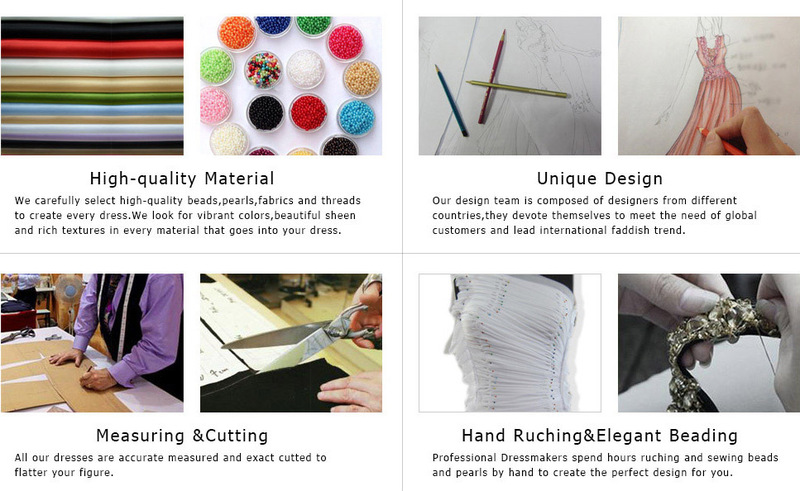 We also afford you a comfortable time frame to accommodate any alteration if necessary. A: Orders canceled within 24 hours of payment confirmation* will be eligible for a full refund. A: You are eligible for a refund of the full purchase price plus shipping costs for defective, damaged or mis-shipped items. If you believe your items were damaged during delivery, you must first obtain "Proof of Damage" documentation from your delivery carrier. A: As all of our dresses are hand-sewn and custom tailored, the finished gown may vary by approximately one (1) inch in either direction of the specified measurements. To ensure that your dress will still fit you perfectly, our tailors have created all our dresses with additional fabric in the seams to allow minor size modifications to be made easily. A: Should your dress size differ from the specifications of your order by more than one inch, we encourage you to find a local tailor to make adjustments, and we will gladly reimburse you for up to 100% of the product price in tailoring costs. If you choose this option, please remember to request a receipt from your tailor as a copy of it must be provided when requesting reimbursement. A: Dresses that do not fit properly but fit the specifications you ordered cannot be returned or exchanged. As our dresses are made with additional fabric in the seams, you can make minor adjustments at a local tailor, at your own cost. A: The settings of your computer screen may alter the color of the pictures shown on color chart of my shop. Slight color mismatches between the color of your dress and the color shown on screen may not mean that the dress is defective or misshipped. However, if you are confident that you have received the item in a wrong color, please contact Customer Service to see if a return or refund is possible. Please contact us before leaving a neutral or negative feedback.As a serious and responsible seller,we will try our best to solver your problem.Once again,thank you for ordering and hope you will like your purchase here.Your comments is very important in our business success. If you are satisfied with your purchase and our total service,please take a mimute to leave us a positve feedback with an overall Detailled Selling Rating.